Originally Widro was supposed to review this, but he never had the chance. Well, that and Majesco sent me the game on April 29th, so I popped it in and beat it. It’s odd, because I really didn’t expect Majesco to send ME the game. After all, The last two games of Majesco’s that I reviewed were Phantom Dust (5.0) and Raze’s Hell (4.5), so I was surprised they wanted me to touch a third game in a row of theirs. 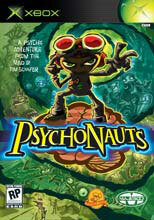 Plus Psychonauts is a platformer. And anyone who even remotely knows me knows that I HATE platformers. I hate the constant jumping. I hate the endless backtracking. I hate the obsessive compulsive disorder it brings out in gamers where you replay a level several times just to find the last golden star or purple horseshoe or god knows whatever. It’s a cheap attempt to make the games seem more replayable. And I also hate the general lack of any plot in these games. In general, I absolutely loathe platformers. They’re just not the genre for me. And I knew that everyone who has even touched Psychonauts has loved the game. 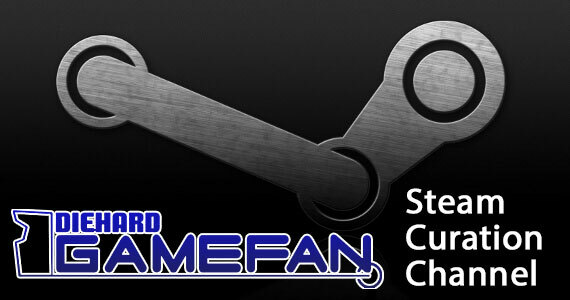 So to be honest, I was afraid my anti-platformer stanc would bias me against the game and give it a low score. I was glad Widro was going to be the guy who was to review this game. But what with managing all the different sections of Inside Pulse, he just never got the chance, and I’d rather have another review of the site with a disclaimer that said “This guy hates platformers. 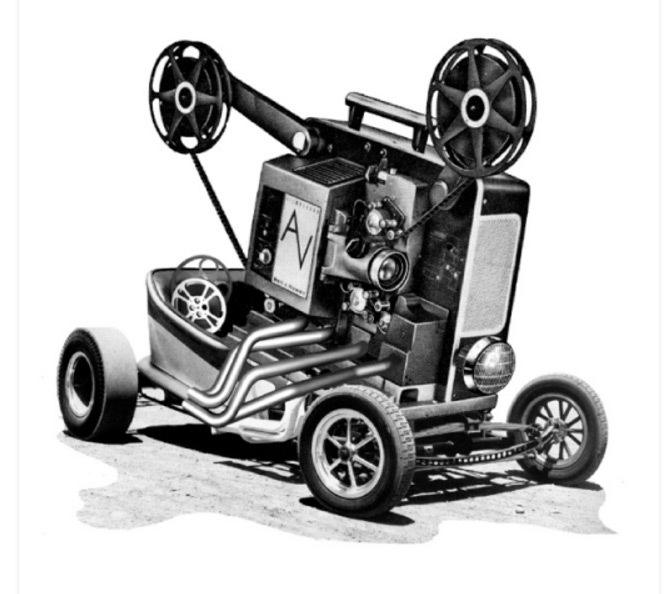 Take his review with a grain of salt.” and at least have a different point of view out there. But alas, that’s not going to happen. See, I don’t not what kind of cosmic miracle occurred, but I freakin’ LOVE Psychonauts. I really enjoyed the game. 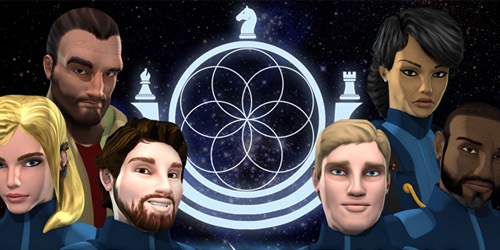 I enjoyed it more than Stella Dues (6.0) and I’m a Strategy RPG junkie. And god knows after playing the horrible dreck that was Wrestlemania XXI (2.5), that Psychonauts was a wonderful breath of fresh air. This is only one of two platformers I have enjoyed in the last TWO generations of gaming consoles The other was Haunted Mansion. So this game certainly goes in the “Holy Crap!” section for there being another platformer that doesn’t annoy t he crap out of me. But remember, this review is being written by a person who does hate 99.99% of all platformers. So keep that in mind while reading it. 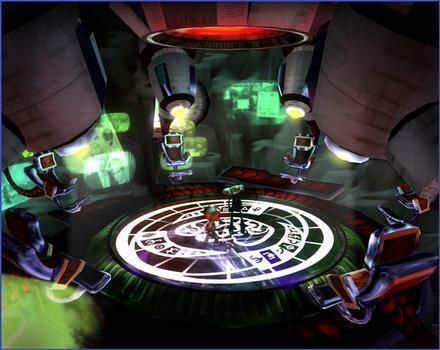 In Psychonauts, psychic powers are quite real and Psychonauts is the term for psychic powered secret agents. Whispering Rock is a summer camp where the government trains children in their psychic gifts, both to gauge that kids’ powers and whether or not they would make good agents…and to ensure they don’t go psychotic and blow things up. Raz is caught sneaking into the camp by the three agents that run it and they are torn between whether or not to return him to his parents, or help him hone his powers, as Raz is the most powerful child they have ever seen. And sneakily, they agree to do both. Raz is allowed to attend the camp until his parents return, and so Raz vows to achieve full Psychonaut status in merely a few days, by earning all the camp’s merit badges and impressing the counselors. However that’s not all. See, what I can’t convey to you properly here, is how WELL the plot is done. There’s a dozen side plots that all come together in the game (from Dogen’s squirrel phobia to a budding romance between Lili and Raz). This game fleshes out characters in a way I’ve never seen a platformer do before. All the characters have deep and rich histories and vibrant personalities. And part of the game is in fact to find the memories and past of many characters by opening vaults of information in their mind. You’ll see everything varying from Coach Oleander’s War Days to some dark and depressing aspects of characters like Sasha Nein’s infancy. The game is amazingly funny too. I haven’t laughed out loud at a video game like this since well…ever. I can’t remember find a game this funny. The characters and plot were so well done, I kept wishing this was a cartoon series or movie so I didn’t have to play through all the gaming bits. Truly this game would be an excellent series and hopefully with the amazing amount of praise Psychonauts is deserved earning, it will happen. By far my favorite part of the game is right away early on when Dogen talks to squirrels. I cracked up really hard and was amazed they were allowed to put something like that in the game. Then I noticed it was rated “T” and all made sense again. Psychonauts has the best story out of any non-RPG I have played this year. And hell, Psychonauts has a better story than most of those. Even if you loathe platformers, find a friend who enjoys them and watch them play. Even if it’s only for the first 2-3 hours. It will be enough to convince you to grab a joystick yourself and meet all the wacky characters of Whispering Rock, from Ford Cruller to Zilch the bully. Psychonauts is not going to win any awards for realistic graphics. This game looks and feels like a cartoon. Zilch is blue skinned and has an afro that would make any blaxploitation film maker jealous. Ford Cruller looks like a cross between Einstein and an old John Astin (The original Gomez Adams). But here’s the thing. The game still looks amazing because you don’t need realism to look good. Psychonauts looks and feels like a CGI movie. And again, it’s far better looking than a lot of the movies I’ve seen using this animated style. The cut scenes are beautiful, and amazingly the rest of the game looks incredible too, even in the platforming bits. One of my favorite aspects are the figments you pick up on each stage. Figments are the equivalent to Sonic’s gold rings or Mario’s coins. You want to collect them all, and for every 100 you get, you raise a Psi Rank. And for every 10 Psi Ranks you achieve, you get a new power. But the figments are so well done graphically, I wanted to touch on them. In each world, figments take on a different form. They will always be neon spectral images, but they will be specific to the head of the person you are in. The first world has Coach Oleander’s figments appearing as WWII fighters, zeppelins and other war time things. Raz’s own head has circus images. And it keeps going. The figments are beautiful to look at in terms of color and 2-D ghostly design, but it’s also great to see they vary from world to world. 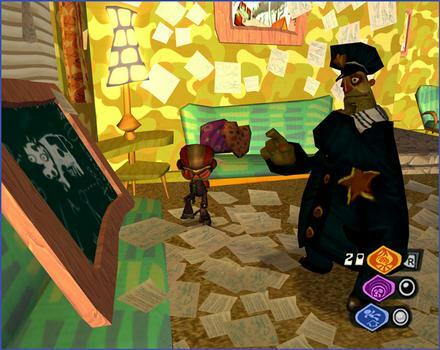 Everything in the game is consistent with the Psychonauts style. Mental Baggage appears in the shape of tote bags, chests, and hand bags, and they do a little dance when you reunite them with their tags. Very cute. Visually, Psychonauts is a treat. It’s cartoony, it’s cute, and it’s a lot of fun to see all the visual sight gags and puns, and how interactive every bit of the world is. Again, if they can maintain the graphics quality and keep the story at the same level of excellent, there will most likely be a Psychonauts cartoon in the near future. “OBEY THE FIST!” You have no idea how badly I wanted Raz to say that. Over and over again whenever he used his psychic hand I kept thinking “SayitsayitsayitPLEEEEEEASEsayit!” Why? Because Raz is voiced by Richard Horvitz, best known for being INVADER ZIM in the same titled Nickelodeon cartoon. And Double Fine went out and collected some amazing voice actors for this game. Nick Jameson (Coach Oleander) has been in everything from Vlada in Jon Lovitz “The Critic”, to Doctor Fred in “Day of the Tentacle,” the sequel to “Maniac Mansion.” Ford Cruller is voiced by David Kaye, who you might remember as MEGATRON from Beast Wars and Beast Machines (and every Transformers series since). Talk about a markout moment when I noticed that, yessssss. Colleen O’Shaughnessy was Nils in Psychonauts, but you may remember her as Alouette in La Pucelle and Sora in Digimon. I could keep going and going, but this just shows the high quality of the voice actors in the game. Plus there is something about Megatron taking in Invader Zim as his personal pupil that just makes me grin from ear to ear. Even the other voice actors I didn’t recognize still did their roles perfectly. I love all the characters and the voices synched with the physical forms perfectly. And the music is fantastic too. From the opening theme that plays with both a funky and ominous sound to all the music of Whispering Rock, which just brings in the feeling and mood of Summer Camp. 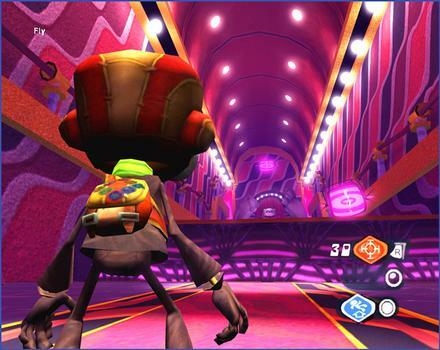 All of the music merely adds to the fun and wacky antics contained in Psychonauts. This is one of those games I wish came with a soundtrack. Overall all, this game is amazing auditory-wise. With one of the best voice acting casts I have ever heard (I’d say seen but…) assembled and a wonderful score to amplify the talent, Psychonauts is flat out wonderful. This truly is one of those games that is just as fun to watch as it is to play. Maybe even more so. I really enjoyed the gameplay of Psychonauts. It’s very intuitive and easy to get the hang of. As soon as you’ve mastered a new power, you usually earn another one by raising ranks or have a new merit badge headed your way. You can customize the Xbox controller to use three different Psi-powers. One is the right trigger, and then the black and white buttons are the other two. What I really enjoyed was that even with all the new powers, almost all the collectables in Whispering Rock could be reached with just your starting abilities. It’s a nice touch. I was very happy about the camera stick in this game too. Usually 3-D platformers have the worst cameras controls and angles out of any video game genre. I’m happy to report Psychonauts does it wonderfully. There was never a time where the camera was poorly aimed that I couldn’t move it or where I couldn’t see my character on the screen. The big problem control-wise is that the target lock is the same button (Actually a trigger. It’s the L trigger) as the “Camera adjust back to the original setting.” Oh my god, I can’t tell you HOW MANY TIMES I tried to lock onto something only to have Raz spin around so that I can’t see censors or other opponents and I took damage. It was horrible. And amazingly annoying. It gets even worse when you can finally psi-float and it turns out to be you guessed it, the L trigger as well. 3 very different controls for one stick is outright BAD. It was a horrible design move, but in truth, it’s also the only flaw I found with the controls, when normally I’d have two pages filled up with what I find wrong with a platformer’s controls. Sorry to keep bringing that up. I’m just trying to really hit on the point I normally hate platformers and yet I loved this game. 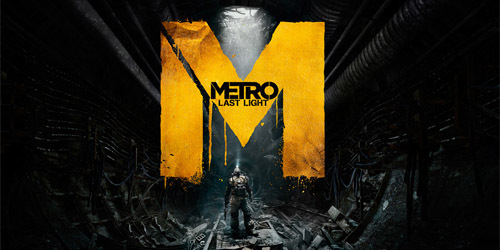 Overall, the controls are spot on, aside from the aforementioned flaw and really make the game enjoyable. The customization of the joystick really helps a lot in my opinion. The game is short. I beat it in about 12-15 hours, so I’m imagining people that are used to this genre can beat it even quicker than myself. But then I didn’t 100% the game and I have a feeling if you’ll be playing an extra 1-2 hours. The truth is though, as good as the game is, I probably won’t ever pick it up to play again. You see, you unlock all the good movie bits, so you can just keep watching those again and again instead of actually playing the game. I’ll be keeping my copy only to watch the movie scenes, but even then I don’t know if that’ll be enough., Just because I had a lot of fun with the game, doesn’t mean there’s much about it to inspire me to play it more than once. Double Fine kind of shot themselves in the foot ala Lunar 2 by allowing you to watch all the best parts of the game without having to play through it again. Psychonauts is a very easy game. Aside from when the control decides to flip between camera adjusting and locking on to something when you want the opposite to happen, you shouldn’t have any problem beating the game, no matter what your platforming skills are. And that’s not necessarily a bad thing. Psychonauts is meant to be fun and a good funny story. Each level or mind or what have you is a little harder than the last, but that’s how it is supposed to be. Slight difficulty incline but nothing drastic or frustrating. The only questionable thing I have is that you technically have unlimited lives in this game. Sure if you don’t finish a level before your “lives” (astral layers as they are called in Psychonauts), you get spat out of the mind, but there is no penalty or punishment like in the old style platformers ala Sonic 2 or Super Mario Brothers where you have to start over. I’m personally glad that you don’t have to worry about that, but it’s like when a person plays a 2-D shooter and dies 100 times a game, but since it has unlimited continues they just keep continuing until they beat it and say “Oh, that was too easy.” I can see some boors saying and doing that with Psychonauts, and this dismays me. Psychonauts is a well balanced and made game I had a great deal of fun with. There were some challenging and interesting puzzles I had to get around (usually jumping), but nothing hair pulling or profanity inducing. A good game in this respect. Psychonauts is a breath of fresh air after a long string of over-hyped games that managed to underwhelm me. I went in with low expectations imagining this game to be yet another “OMGWTF WE ARE MINDLESS SHEEP” praise filled game, and was very happy to find that in fact, Psychonauts is one of those few games out there that truly does deserve the magnanimous praise it has received from both critics and gamers. Psychonauts contains a wonderful plot filled with imaginative characters and has really taken everything I never liked about platformers, booted them to the curve and replaced it with things that are new, innovative, and fun. I have no doubt this game is going to get more than one sequel, and here’s hoping Double Fine doesn’t fall into the trap of rehashing and instead gives us more games with this level of creativity. I really really REALLY liked Psychonauts. And if I enjoyed it, I have a feeling everyone that generally dislikes platformers will be able to enjoy this game as well. The only people I can’t see enjoying this are the same people who won’t play Pokemon or Mario games or anything else that’s cute or cartoony because it is “Kiddy” But then those are the gamers that somehow think you can play video games and still be “macho,” or that games need to be bloody and have realistic violence in order to be good. so screw ’em. They don’t really count as gamers. A lot of people are going to be surprised by how much fun Psychonauts is. At the very least, go to your local Blockbuster or Hollywood or what have you and rent the game. You’ll most likely get hooked. Time flies when you’re playing Psychonauts (Although not when you’re writing the review of it). You will get sucked in and find yourself wanting to explore the wildnerness or reception area just a little longer. You’ll go, “Just three more cards until I can raise a psi level.” You’ll be hunting for arrowheads and not find it tedious. I however did not ever have the desire to go back and find the final Emotional baggage or the last two figments on a level. I can’t justify going back and playing an entire level just for something like that. It’s a time waster and there’s no supreme benefit to doing so. It’s a bit anti climatic to realize you can beat the game so quickly, but at the same time, if they had tried to draw it out longer, the plot would have sagged. So it’s a good compromise in this respect. I had a lot of fun with Psychonauts and was constantly amazed by how hard it was for me to put the control pad down, but now that I am done, I have no desire to pick it up again, except to maybe watch the CGI scenes again. Psychonauts is the platformer for people who generally don’t like platformers. It reaches beyond the trappings of its genre and gives something to people who generally criticize it so that they too convert to watching then playing and finally enjoying this game. Double Fine’s first game is an amazing success but then Tim Schafer is also the guy that gave us one of the best PC games of all time in Grim Fandango, so it really should be no surprise that this game oozes quality. I loved so many characters. Poor crazy Dogen. Bear obsessed Mikhail. Crazy old Ford. Hearing lines like, “In the coming years, my husband will begin to desire me less sexually.” or just unlocking vaults and seeing secret memories and the pasts of each character. There’s so many great things about this game and I can’t say enough good things about it. It’s not the best game I’ve ever played, but it is a great one. At the very least, rent it, beat it, and spread the word about it. Too many people I know missed Grim Fandango, but as Psychonauts is for the Xbox, PC, and soon to be for the PS2, there’s no reason to miss out on playing this. Psychonauts is truly a great game with very little in the way of flaws or bugs or control issues. There are so there, but they’re so minor most people playing the game will never notice them. Here’s hoping we see some or all of the characters again in another game or another format.